Ideally, what do you want social media to bring you? Do you want to increase traffic to your blog? Build a wider audience? Maybe even grow a following that will inspire brands to work with you. Write all your top goals down so you have something to work towards overall. Start to break these goals down into achievable milestones, then from here, you need to decide what little tasks you need to do to achieve these milestones. One of my aims is to hit 4k followers on Twitter, as that's where the majority of my blog traffic comes from, so two of my tasks are to follow fellow bloggers and schedule my promotional tweets. Remember, these are things you are going to be doing every day, so make sure they are relatively simple and quick to do. You ideally want no more than six tasks, so choose the ones you feel are most important to your social media presence. My six tasks focus around Pinterest, Twitter, Instagram and other blogs, with most tasks covering several social medias. You ideally want your tasks to overlap platforms, so you can get the most out of each one. When will you be completing your tasks? I usually do mine first thing in the morning, where I will go on a following spree on Twitter and Instagram, looking for more bloggers to connect with. I also take this time to schedule my tweets on Buffer ready for the day ahead. The rest of the tasks I complete in the evening. I like to spend the time before I go to bed winding down by commenting on blog posts and trawling Pinterest for pretty images to pin. I also make sure I'm caught up on my Instagram comment pods before I go to sleep and share the love to my fellow blogging babes. You might notice I only have weekdays on my planner and haven't included Saturday or Sunday. This is because I am usually on social media a lot more at the Weekend, or I take a huge break altogether, so I tend to just take a rest from the routine on those days. I made my schedule on Photoshop, but I'm sure you can create something similar on Word or even by hand in a notebook or planner. My schedule is printed out and stuck to my wall each week, and I also have it saved to my phone so I can check it when I'm out and about if need be, but I usually stick to my designated times. You can colour-code your schedule, or add icons like mine that you can colour in when you have completed that day's tasks. So there you have it, (hopefully) all the advice and inspiration you need to create your own social media routine! But what happens if after all my advice, all the planning and goal-setting, you still can't get your schedule right? That's easy - Download mine for free here. What tasks are important to maintaining your social media? Do you have a routine yet? I use my social media socially and have not actually connected the dots to my blog yet - I don't even know why. This has given me a lot to think about. Pretty much all over my social media revolves around my blog now! I don't have any personal accounts left! This was very helpful! I know I get quite stressed out with all that's involved with keeping up with blog and social media. Thanks for sharing! Such a helpful post! I need to get myself going with a schedule! I love organising what im going to be doing. Since I put together my goals and started acting on them I can definitely see a difference! Fab post! 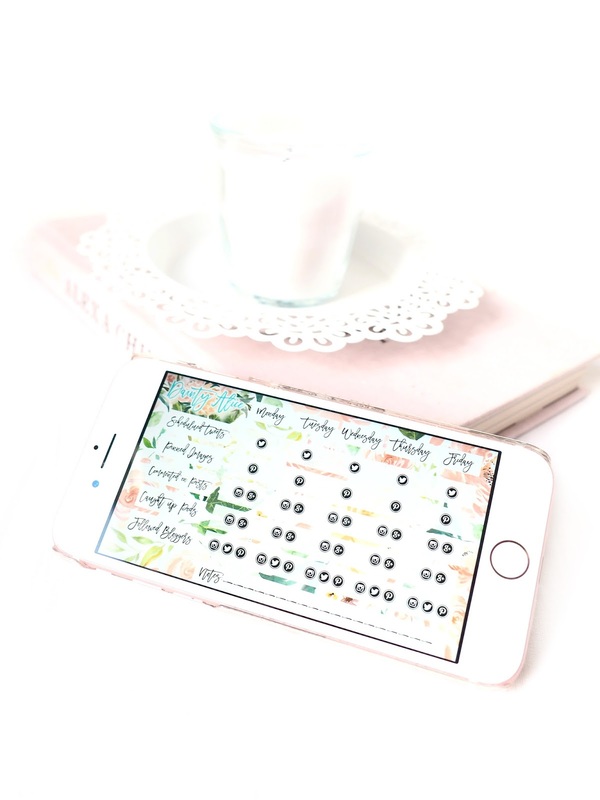 Omg this planner is so lovely -- I'm in awe of your graphic design skills! I also focus a lot on Instagram and (to a lesser extent) Twitter, but have yet to get into Pinterest. I'll have to reset my password and try it out -- right now my Pinterest is just Year-old wedding pins, hehe. I get so stressed with making sure i keep up with my socials, so this was amazing! I really need to follow this - it seems so organized and easy to keep up with. I need a firm routine in place. One day I follow one way, the next another. I need to be more constant in order to make it easier for myself. Planning is always important I usually spend my weekend posting and reading other bloggers post. Your planner looks super lovely! 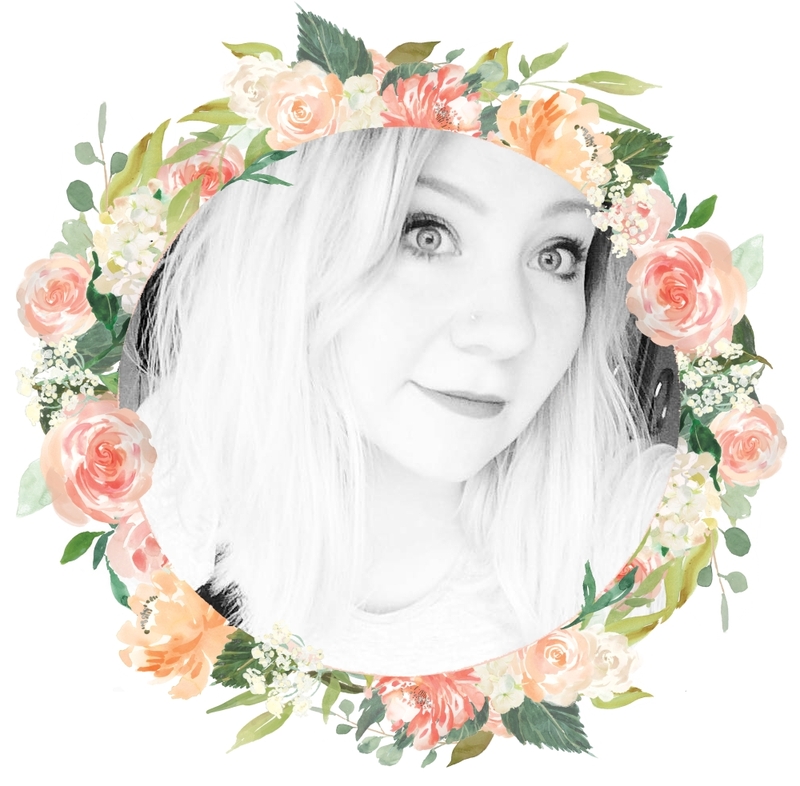 I need to schedule more because I work full time aswell as blogging! Thank you for this! I have a really hard time with social media, particularly Twitter as I've never really used it and don't like it much. Maybe that will change as I use it more. First of all, I just love the design of your schedule, it's so feminine! I found myself while reading this post, I have these major goals you can't achieve overnight and that's why it's important to have milestones! You won't get discouraged that way. I have a planner just for social media haha It is the only way I keep up with it all. This was sooo helpful, thank you! I struggle to have a proper routine with my social media. I think I just need to buckle down with it!